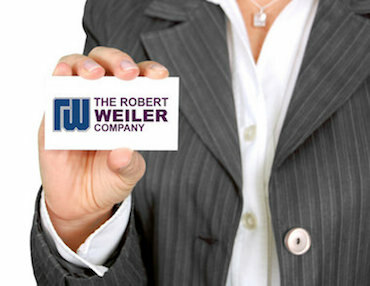 Commercial real estate brokerage firm, The Robert Weiler Company is proud of its roots. Our founder, A. Robert Weiler, the first-generation Weiler, started as a small commercial brokerage in Downtown Columbus, Ohio. Today, we’ve not only expanded to become a full-service commercial real estate firm, but we are also one of the most sought-after commercial real estate brokers in the industry. Our clients keep coming back because we are passionate about our community and delivering the best service. As a commercial real estate brokerage firm, we provide our expert knowledge of the CRE market, in Columbus and beyond, ensuring that your property is sold or rented. For 80 years, we’ve been holding a track record of integrity, honesty, and reliability… a powerful combination that is valuable to you. As a commercial real estate brokerage, our approach is one that is rarely found within the industry. We are truly invested in the Columbus, Ohio community—and throughout the Central Ohio region; and we’re enthusiastic about building communities in which families and businesses can prosper. We also offer a full suite of CRE services. That’s why we’re an ideal sales team for your commercial real estate investment; we’re engaged in the progress of the local area and can help you from start to finish. Commercial Properties: The Robert Weiler Company has been at the forefront of some of the largest commercial property brokerage deals in the Columbus, Ohio area, from the Polaris Centers of Commerce, to Americana Executive Park, Northstar Community, and Clippers Stadium. And, as part of this region’s flourishing business community for three-quarters of a century, we are best suited to advise you. Office Space: From office space for rent to office buildings for sale, our commercial brokers will advise you on the best buy, lease, or sale approach, whether you are seeking the highest price or the most income-producing asset. Retail Space: Our retail propery clients understand the value of marketing and branding and that’s our specialty in the area of retail brokerage services. For sellers, our goal is to elevate the value of your property by executing a plan to enhance its desirability. For buyers, our deep knowledge of the region gives us the advantage of uncovering the best investment property or retail space for sale. For tenants, we find the best options in locating their businesses, while helping owners find tenants who bring value to their properties. Land: The Robert Weiler Company made its start in land development; over 80 years later, we consider ourselves as land broker experts. We recognize that buying or selling land is much more than money exchanging in hands. It’s about zoning and environmental issues, entitlements, demographics, and most importantly, relationships within the community. Apartment Buildings / Multifamily Properties: Our multifamily property brokerage services include apartments, condominiums, senior complexes, townhouses, and more. One of the greatest strengths of The Robert Weiler Company is our familiarity with the Central Ohio region and its communities. Understanding values give us the insight to provide our clients with the greatest return on investment when purchasing apartments and multifamily properties for sale. Once you have found your place in our community, it is our job to help you achieve success. Our commercial real estate brokerage services team is highly trained to suit your CRE needs. When you work with us, you’ll have a partner who is with you from the start and takes you to the finish line. Buyer/Seller Representation: You tell us your goals, and we’ll help you achieve them. Whether you need assistance with performing a commercial property search or marketing strategies, we want to help sell your property at the best price, within the shortest timeframe possible. Leasing Services: When it comes to leasing commercial real estate in Columbus, Ohio, or throughout Central Ohio, our commercial real estate brokers understand all of the ins and outs. We have specialists who focus on commercial/retail space as well as downtown office space and suburban areas. We also have a wealth of experience with industrial space and even institutional developments. We have done it all, enabling us to remain ahead of the curve and aggressively successful – for you. Consultation Services: Not only can we help you develop strategies and acquire the commercial property you desire, but we can also stand by you as your advocate. Our advice is always confidential and objective, and with your best interest in mind. Our consultants understand the legal obligations and other real estate industry hurdles and can advise you on quality real estate decisions in our community. When you come to The Robert Weiler Company for your commercial brokerage needs, you’ll get the full package. No matter which stage of the process, or where you are looking to grow, you can be confident with our team of commercial brokers by your side. Call us today for a free consultation: 614-221-4286. Find out how you can leverage the expertise of our commercial real estate brokerage services to make the best sales or investment decision possible.